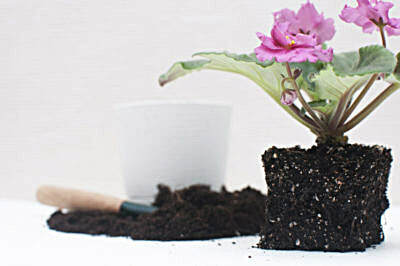 Repotting in Hot Weather - African Violet Society of WA Inc.
​So now we come to the contentious question of whether one should repot plants in summer. The answer is there is no exact rule since conditions vary, but here are some things to think about. 1. In general, as plants are already stressed by extreme temperatures it is better not to stress them any further by removing and disturbing roots etc. as in repotting. 2. Repotting stimulates growth, so variegated plants repotted in summer might not show much variegation in their growth until the next winter. Heavily variegated plants are a little more sensitive, anyway. 1. If the growing area is generally cool, there is probably no reason not to repot. 2. Potting plants on into larger pots, if done without too much disturbance of the roots, may not cause any problem. 3. Plants whose pots are tightly filled with roots are probably better repotted as they will dry out very quickly in hot weather. Even wick watering may not help their roots to take up enough water. This also will apply to other plants in desperate condition. 3. Keeping plants in the coolest positions available after summer repotting may help ameliorate any stress related problems. 4. Where a busy life dictates that plants must bow to the needs of the grower rather than the other way around, it will always be better to pot in hot weather than not to pot at all!